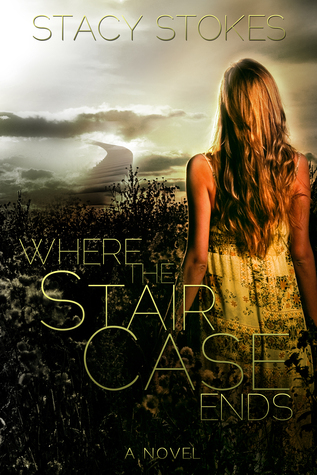 The Best Books Ever: Where the Staircase Ends by Stacy Stokes ~ Blog Tour Review & Giveaway ~ By Jaime! Where the Staircase Ends by Stacy Stokes ~ Blog Tour Review & Giveaway ~ By Jaime! The cover of Where the Staircase Ends is absolutely what drew me to the book in the beginning, then I read the synopsis and there was no going back. I just knew that I had to read this one. In the end, while there were some missing steps, I am happy I did! The story begins with Taylor walking into school, and everyone staring and turning around and whispering with each other, some not meeting her eyes and others glaring. She discovers what the rumor is, and it is horrible, but what makes it so much worse is that it was her best friend, Sunny, who started it. She is angry, and when she sees Sunny in the hall surrounded by their friends, she thinks about hitting her. But when Sunny comes over to her, with her eyes shining, she thinks she might get an apology, Instead, she gets her heart broken. All Taylor wants at that point is to not exist. A few days later, she gets her wish. Taylor ends up standing in front of a staircase that reaches into the sky, seemingly never-ending. She cannot turn back, not even her head, so she has no choice but to climb. As she climbs, higher and higher, she encounters "ghosts" from her life. Some of them, she wants to see, to hold on to. But others, she wishes would just go away and leave her alone for good. But on the staircase, what she wants only matters a little bit. So she starts a journey, through memories the ghosts bring, of the events leading up to Sunny's betrayal. What revelations will Taylor have, what secrets might she see? Will she realize her own part in what happened in her life, or will she close her heart to it, and to forgiveness? This is Taylor's journey. I really enjoyed the story, but there was a while there at the beginning that I struggled to relate to Taylor. One of the biggest issues for me was the feeling that the book was written for a younger YA crowd. The characters seemed very young, even though they were 16 or so years old. Being in my 30's, I struggled relating to any of them. The pacing was also a little slow. However, as the book progressed, I found myself getting more involved in the story, and the memories Taylor relived. The book took on a more serious tone, and picked up steam, and Taylor struggles became something I could relate to. By the middle, it had hit its stride and from then on it was smooth sailing. Taylor was a good character, and by the end I really cared about her. She was broken, and confused, and I completely understood.The journey that she made was not an easy one, and it was handled well. It was believable, her reactions. Sunny was a humdinger, though. Wow, she was not the best BFF. But the staircase showed things that made me understand Sunny more, and she redeemed herself in my eyes. The love interests in the story were both very different. One definitely out did the other, and I like the result of the triangle, of sorts. Where the Staircase Ends is a thought-provoking, often heart-breaking, joyful and emotional roller coaster of a book. Despite the issues that I had, by the time I finished the last page, there were tears in my eyes and a smile on my face. I would absolutely recommend it to the younger YA crowd. To the older YA crowd, and the not even close to YA crowd like me, I would say to give it a chance. It might not seem like it is your kind of story in the beginning, but if you keep going with it, the payoff is definitely rewarding!